On 7-9 November 2019, the SKILLNET project will organize a conference at Utrecht University on memory and identity in the early modern learned world. See the conference websitefor more information. Our crowdsourcing platform CEMROL (Collecting Epistolary Metadata of the Republic of Letters) is live: cemrol.hum.uu.nl! Watch the promotional video below or go to the CEMROL-page for more information. 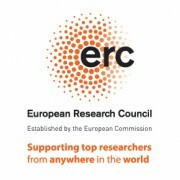 The ERC Consolidator project ‘Sharing Knowledge in Learned and Literary Networks – The Republic of Letters as a Pan-European Knowledge Society’ (SKILLNET), under the direction of Dr Dirk van Miert, conducts research into the ideal of sharing knowledge within early modern scholarly networks in Europe by applying social network analysis and text mining techniques to the metadata and full-text data of large quantities of manuscript and printed letters from the period 1500-1800.